“A repressive response can only worsen grievances,” she said. 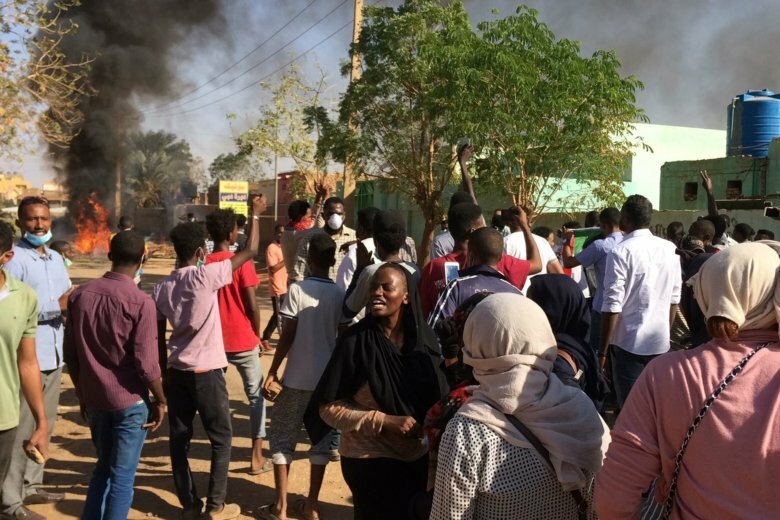 At a U.N. Security Council meeting in New York on sanctions against Sudan, Western nations expressed concern at the government’s response to the protests. U.S. political coordinator Rodney Hunter urged the government “to respect the rights to freedom of association and peaceful assembly, to release all journalists, political opposition leaders, activists, and any other protestors arbitrarily detained” — and to ensure an independent and transparent investigation into the deaths of protesters. A medical committee associated with the protests’ organizers said two demonstrators, including a child, died of gunshot wounds. Four others were wounded when hit by live rounds and three more sustained injuries from rubber bullets. Earlier in the day, security forces arrested several journalists near the palace who were reporting on the march, they added, while police fired tear gas to disperse crowds elsewhere in the city’s central al-Arabi market area.